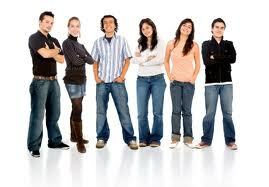 Many businesses today have expressed frustration with younger workers. They claim they lack the proper business skills and other professional abilities that will help make them good employees. However, some employers aren't content simply to complain about Millennials' lack of skills but are being active in addressing them. BOK Financial Corp. (BOKF) with banks in eight states and headquarters in Tulsa, Okla., has had a financial training program in place since the late 1960s. Since that time, almost 275 young people have been through the program that gives those identified as having high potential not only the skills they need in finance but also the soft skills they need to be successful in their career. Fifteen to 20 new college graduates are admitted to the Accelerated Career Track program that has more than 1,000 applications every year, says Lisa McLarty, vice president and the program's senior manager. The program lasts 12 to 18 months, and participants are put on three specific finance tracks — commercial, consumer or wealth management — depending on their skills. But one of the real values of the program may lie in other skills that it offers participants. Participants do spend time learning about wealth management or commercial banking and credit, but they also learn how to give effective presentations and dress professionally. "We're really focused on a more well-rounded experience," McLarty says. "We want to teach those soft skills" such as dining etiquette, writing skills and even how to give back to the community. Blair Rosenquist is a participant in the program. The recent University of Oklahoma graduate says she was attracted to the program after doing an internship with the bank.